We have all seen tons of funny images, but it doesn’t hurt to see a few more, right? Especially if they show things that you have probably never seen before! As big as the internet is, there are still plenty of new things that you have yet to see! The best part is that people keep doing or making weird things which someone else photographs for us to see. We selected some of the best ones we could find and you are about to enjoy them! There are a lot of different ways to package a beverage, but this one is entirely new to us! 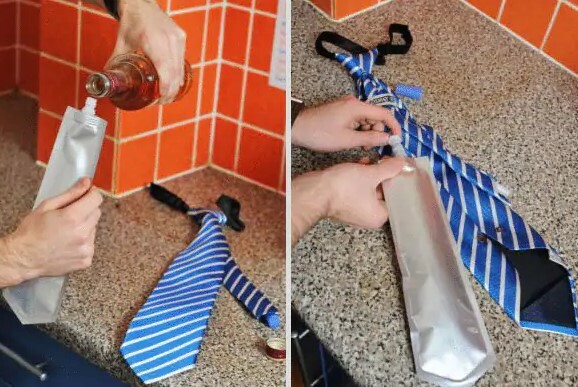 It looks like a giant Capri Sun container in the shape of a tie! Who came up with this thing anyway? It seems that the quality of the product is superb. It does not look like a homemade creation at all! One thing is for sure, though. The purpose of this container is to allow someone to drink without anyone around them to notice! 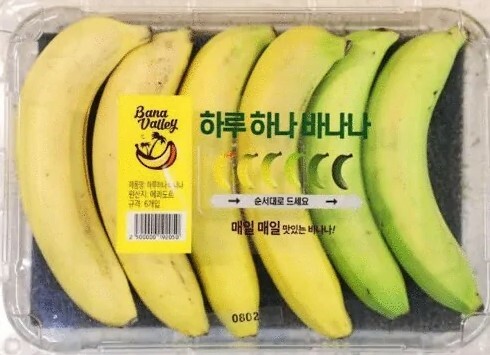 We have all been in a situation where we buy a certain thing and we are impressed by the packaging, but immediately after that we are disappointed by the actual contents! The clever marketing tactics work like a charm every time and we continue to buy products what have nothing in common with the image on the package. Of course, there are exceptions, and this is probably the best one! There is nothing hidden here and everyone can see that the products are a perfect match to the label on the package! Well, there is not much we could say about this one! All that can be actually said here is that the people in that bus are extremely lucky to have their driver. We guess that the religious ones were particularly delighted to see the driver’s name. 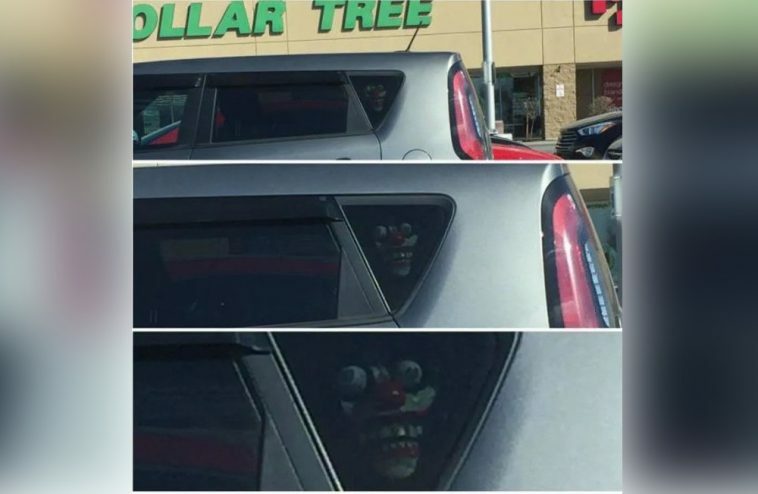 Of course, this is nothing but a coincidence, and the driver is probably used to people’s reactions after they see his name. 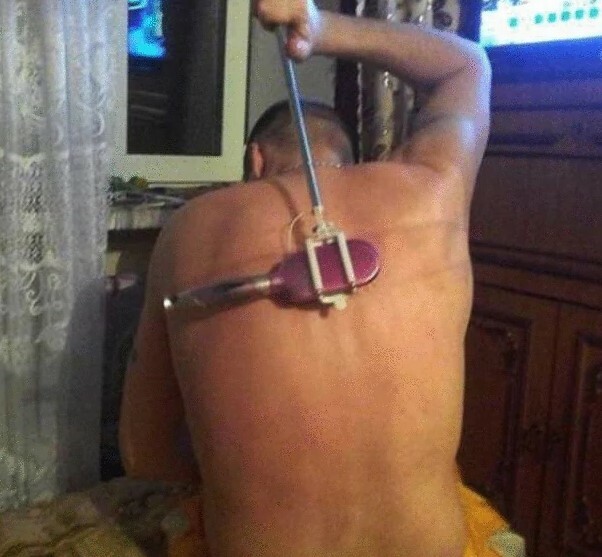 We bet that there are a lot of funny situations related to this one. You have probably never thought about how a completely naked tomato would look like, right? We haven’t, either. Well, we are in luck, because someone took a photo of one! It is not what you would expect for sure. It is also not the prettiest thing in the world, but it is rather curious. 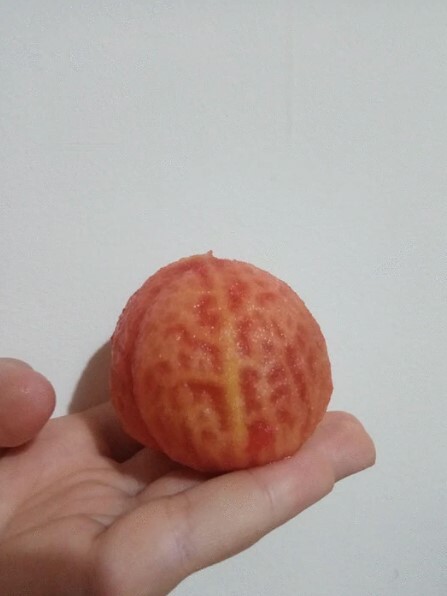 In some weird way it resembles a peeled orange! It also looks like a tiny round brain, which is weird. Did mention that the tomato is technically a fruit, not a vegetable? 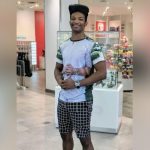 After seeing this photo, you will definitely check the label of the next piece of clothing you buy. As you can see, the manufacturer of this product decided to put a lot of information on the label! Apparently the marketing department of the company decided to stop putting the same old boring labels! This is why they came up with a funnier and more relatable one! 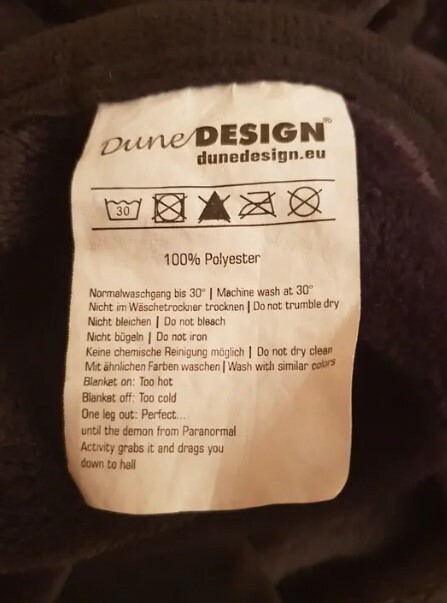 We guess that the product was imported, because there is one obvious mistake in the English part of the text. Sometimes nature can play a lot of tricks on you! Certain things may appear to be what they are not. The problem is that you realize that when it’s too late! This is the case with the tree you see here. 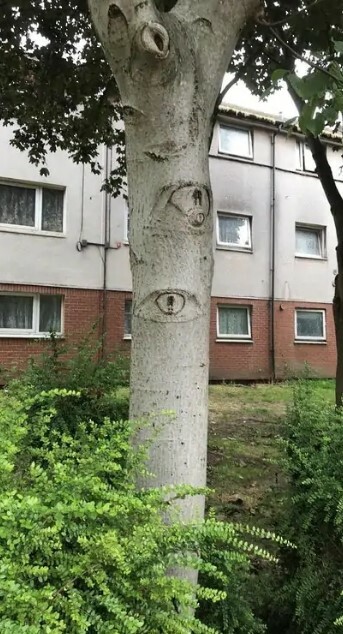 The initial impression that the tree is watching you is unexpected and kind of creepy! Of course, upon further investigation it will become clear that it is only the shape of the tree bark. The odd eye-shaped sections are something we have never seen before. Air fresheners are probably one of the most popular products in the whole world! Just think about it! There are billions of homes and vehicles and all of them need air fresheners! Of course, some people couldn’t care less, but others are obsessed with fresh scents! This is why there is a huge variety of brands and types of air fresheners. 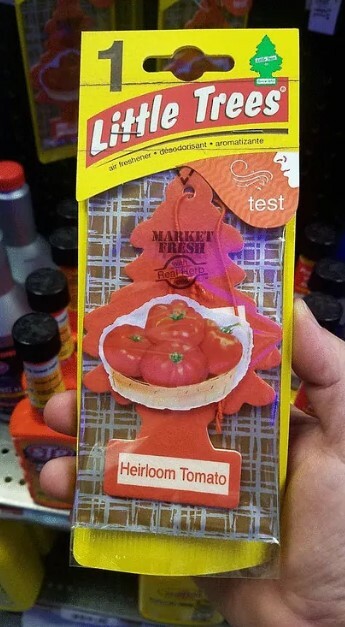 It seems that marketers are out of new ideas, which is why they decided to create heirloom tomato scent! This is unbelievable, but it is an actual product. We guess that most people love attending wedding! What’s not to like about them? There are a lot of happy people in the right mood there. The decorations, the flowers and the ceremony are really beautiful. Of course, the most important thing is that all the guests have the chance to witness two people’s most special moment in life! This is a special kind of honor which requires special invitations! As you can see, this particular invitation is even better than the usual ones. This photo may not seem like much, but it shows something really interesting. When we were teenagers, all we wanted is to have some space to hide all the things that we had to keep away from our siblings and parents. Of course, nobody had the luxury of having such a bed. This teenager seems happy to own one, and we hope she knows how lucky she is! Bunk beds will remain as most people’s teenage dream! Sure enough, most of you might think that the word ‘extreme’ may be inappropriate for this particular path. After all, it is a relatively nice sidewalk with lanes! But here comes the tricky part! 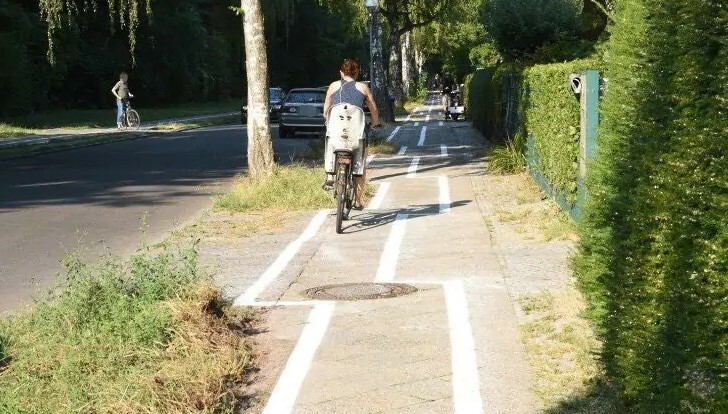 As you can see, someone decided to make the lane pattern in the most ridiculous way we have ever seen! This is what makes it extreme! Imagine what kind of skills you need to have in order to keep up with the lanes at a higher speed. When you go to a diner or to the mall to grab a bite, you can expect to meet all kinds of different people. Some of these people are really something else! As you can see, this person probably things that she is extra and this is why she thought she deserves more. 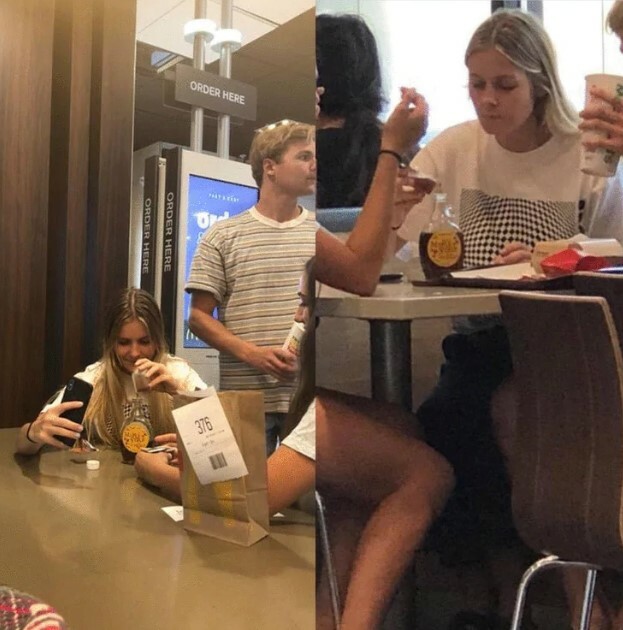 This surely was the reason why she decided to order extra syrup and pour it into the empty bottle she brought with her. This is something really unbelievable but she doesn’t seem to be bothered! She even took selfies while stealing syrup! 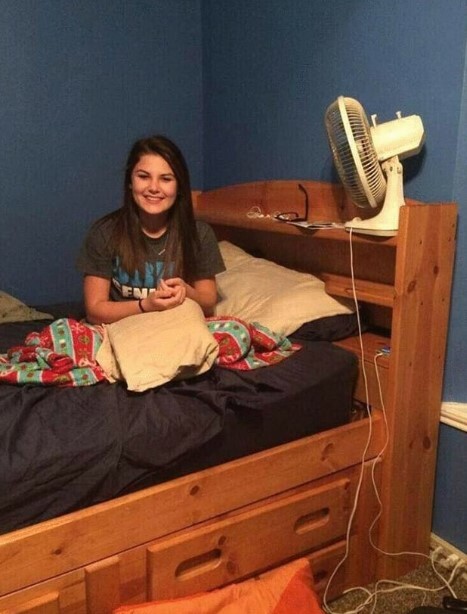 Everyone would probably see what we mean after taking a look at this photo. We already mentioned that nature can serve all kinds of unexpected things and this photo is yet another example! This rock has an awkward face embedded in it! It looks like it was naturally formed and this makes it even weirder. Nobody would feel comfortable if someone is staring at them without blinking. 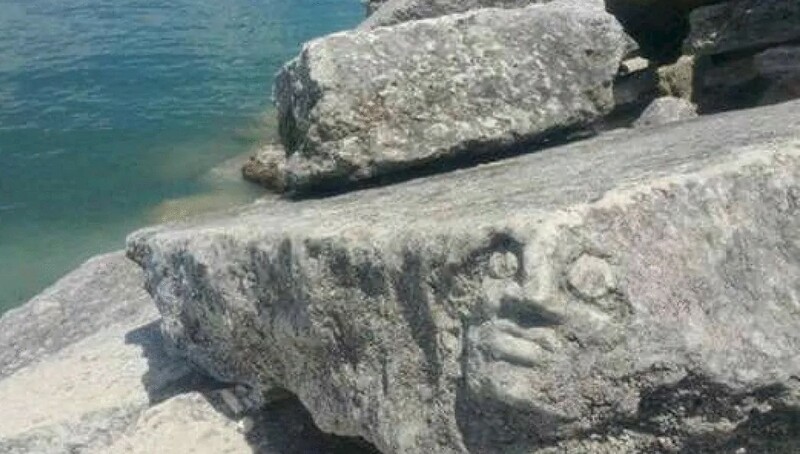 Of course, this is only a rock, but it is still staring. 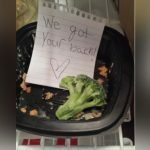 Pranks are awesome, even though they are more or less savage sometimes. This one is far from being savage, but it surely is clever! 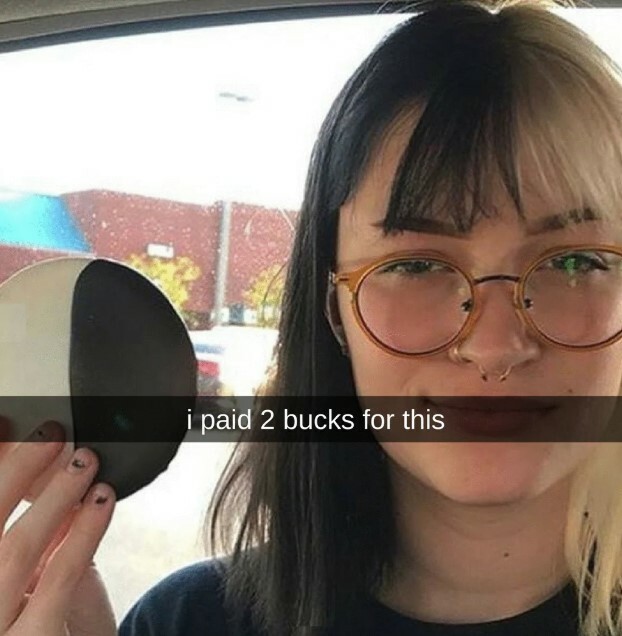 Someone found the perfect way to mock this person’s hairstyle by spending two bucks on a cookie which is apparently the same color. We like both the cookie and the hairstyle, but we guess that the money was well spent, because the joke worked like a charm and there was still a giant cookie to eat! It is what people call a ‘win-win’ situation. We need to admit that this one surprised us! We even felt like we need to run to the store and get a bottle of Gatorade just to try if it really works. Judging by the photo posted above, it does. Just imagine how brilliant the marketing team of the brand must be in order to come up with a feature like that. 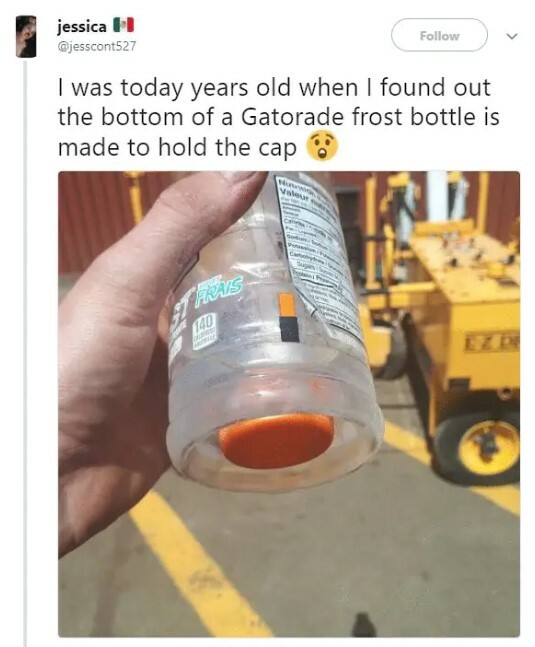 This makes this bottle unique and we will enjoy this little trick next time we buy a bottle of Gatorade. The DIY genius of some people can amaze us even when we are talking about something simple. It doesn’t take much to appreciate someone’s creativity. There is no need for a huge and mind-blowing invention that will improve our lives in order to say ‘bravo’ to a DIY genius. In fact, this backscratcher is more than enough to makes us applaud its inventor. We definitely like the idea behind it and the simple materials that were used. The two items you need can be found in any home. Maybe the invention you see here will inspire your own DIY genius, who knows?